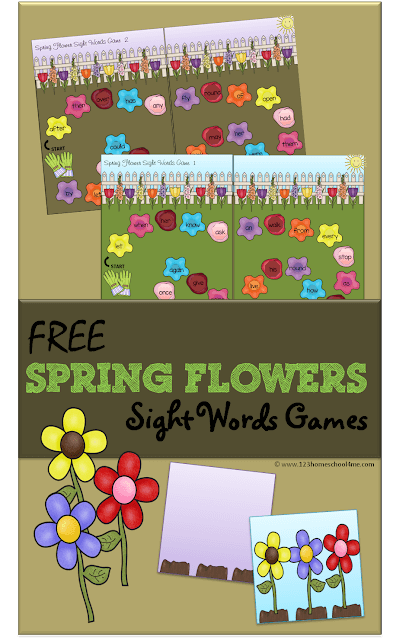 Make practicing Dolch sight words fun with this free printable Spring Flowers Sight Words Game for 1st grade. Learning sight words is crucial to helping kids be confident readers are 75% of printed material is made up of these 220 words! 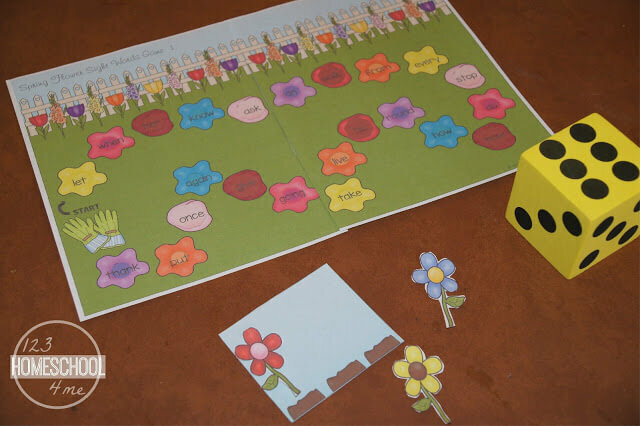 This Spring Flowers Sight Words Game contains the 1st grade sight word list. To practice the Kindergarten (Primer) Dolch Sight Words try our FREE Arctic Animals Sight Words Game. Playing a game makes practicing sight words FUN! 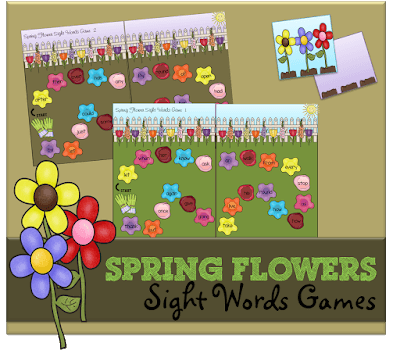 Included in the Spring Flowers Sight Words Game are 2 sight word games both with their own board, set of cards and unique 1st grade Dolch Sight Words. Set-up by printing all pieces in color on cardstock or use a laminator for durability; cut apart cards. You will need a dice and small figures to play this game. Complete instructions for playing are included in the download, but here is a sneak peak. Here are more free printable games and activities to help kids to practice and learn sight words in a FUN way!